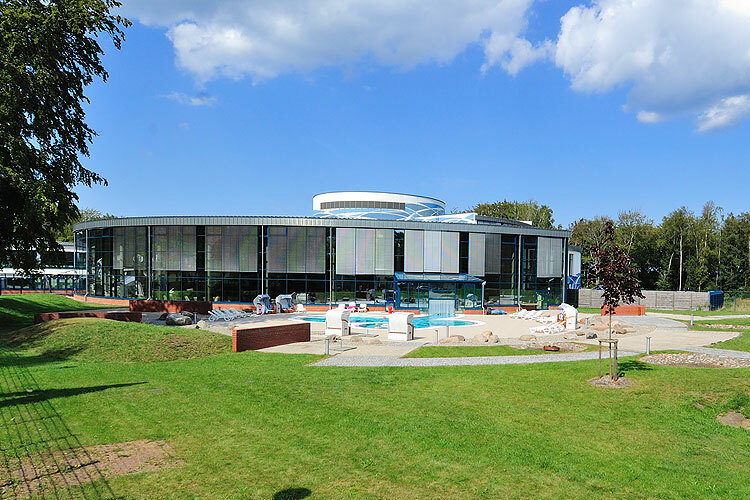 Pools, saunas, wellness and sport facilities ... enjoy all of this at the Aquadrom in Graal-Müritz and treat your body and soul to a rejuvenating day of sports and wellness. The Aquadrom offers recreational sports facilities like pools, bowling lanes and badminton courts year round in any weather. Alternatives include relaxing in one of the many saunas or spas under the guidance of our physical and massage therapists. Our wide range of indoor and outdoor pools with warm, clean Baltic seawater offers different entertainment. Keep track of your workout on our 25m lanes or relax while floating in our circular water stream. We offer a separate wading pool for our younger guests' safety and entertainment. The outside pools will treat you to a refreshing massage through the high-pressure streams. Beach chairs and comfortable loungers are available for revitalizing breaks. Water gymnastics, aqua-fit courses, swimming and diving lessons complete our set of offered services. A little bistro provides little snack for nourishment during your sporty days. The sauna facilities range from 45 °C (113 F) to 90 °C (195 F) and 50% to 100% humidity in our Tecaldarium, Laconium, steam bath, Soft and Finnish Sauna. 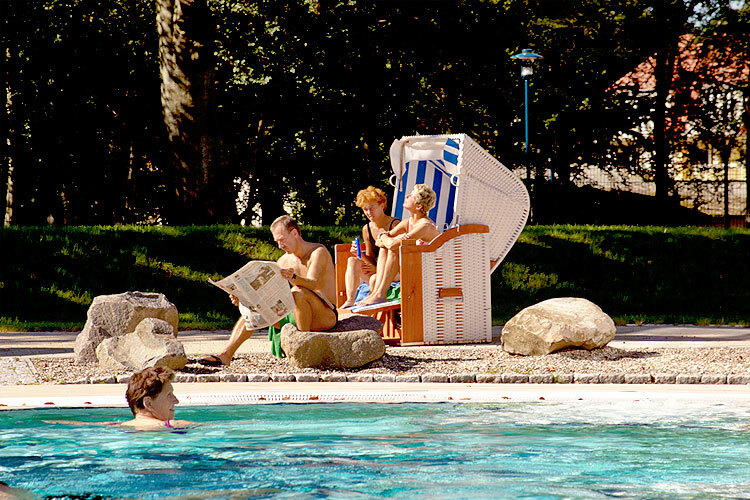 The Aquaforum offers relaxation and refreshment through water chairs, calm relaxation rooms, showers, ice caves, and a separate outdoor pool with beach chairs. We have a wide range of different massages from around the world: Rhassoul, Hamam, Venus bath, Caracalla, Reiki and Hot-stone-massages. For therapeutic reasons, beauty or just relaxation, you can find all of these massages in the Auquadrom. 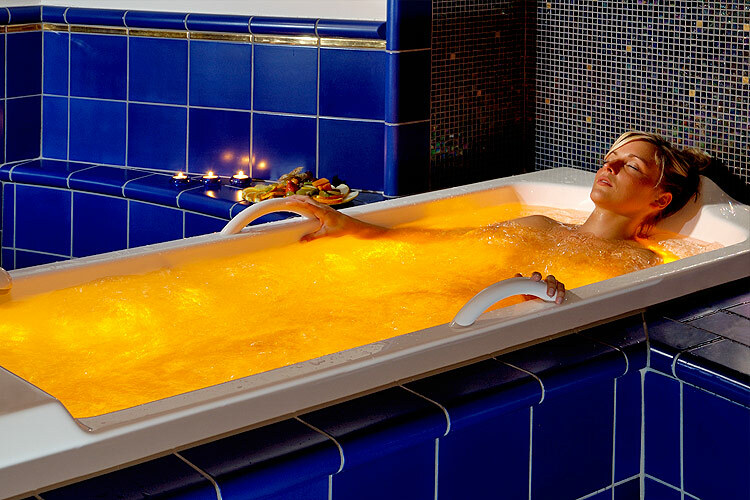 Feel free to try our exclusive Beauty Package, including massages, baths and masks rich in active ingredients.